The Moscow Kremlin is a magnificent architectural achievement. Its monumental walls and towers, golden-domed cathedrals and ancient palaces stand high on the Borovitskiy Hill above the Moscow River. It's an entire city within Moscow. Russian princes and tsars lived here long time ago, but today it is the official residence of the President of Russia. The Kremlin dates back to the first residents of Moscow. The founder of Moscow, prince Yury Dolgoruky, ordered the construction of the first wooden fortress in 1156 on a site known as the town of Moscow, but the word “kremlin” was only first recorded in the 14th century. The Kremlin we see today was constructed in the late 15th century. Moscow prince Ivan the Great dreamed of building a capital that would equal Constantinople in grandeur and importance. He called his dream the "Third Rome" and brought architects from Italy. Most of their work is still standing. "The Kremlin deserved a journey to Moscow" is the truism penned by French traveler Marquis de Custine in the 19th century, and it is still relevant today. Don't miss your opportunity to visit the Kremlin. The highlights include Cathedral Square, Ivan the Great’s Bell Tower, the tsar cannon and the tsar bell. There are also several separate museums in the Kremlin, with the most famous ones being the Armoury Chamber, which houses royal treasures, and the Diamond Fund. You can also visit three 15th-16th century cathedrals. The Assumption Cathedral (1479) was the main place of worship for Moscow, and the place of coronation for all the Tsars. 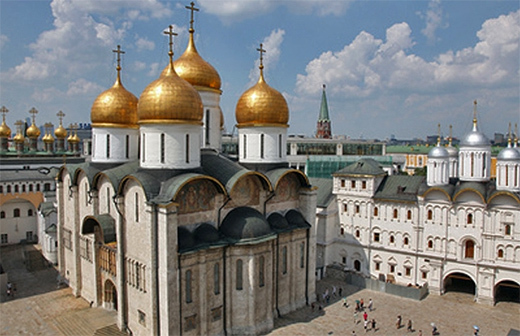 The gilded Cathedral of the Annunciation was a domestic royal church; it has several unique icons by Andrey Rublev. The Cathedral of the Archangel Michael is the final resting place of the first Russian princes and tsars. 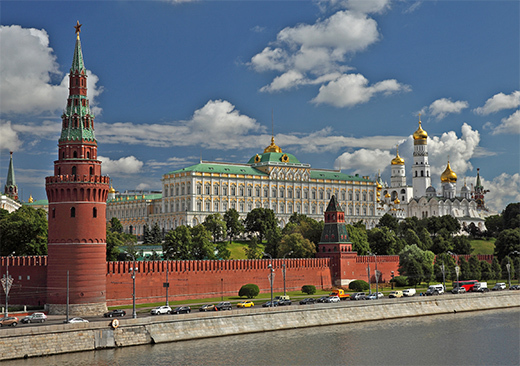 The Kremlin is included in our classic tours with our Moscow tour guide.